The mad scientists behind Ben & Jerry's ice cream are tapping into what many say is the most important meal of the day -- breakfast! The company is introducing three new flavors, all inspired by cereal. They are "Fruit Loot," "Frozen Flakes" and "Cocoa Loco." Each one contains a swirl of cereal. 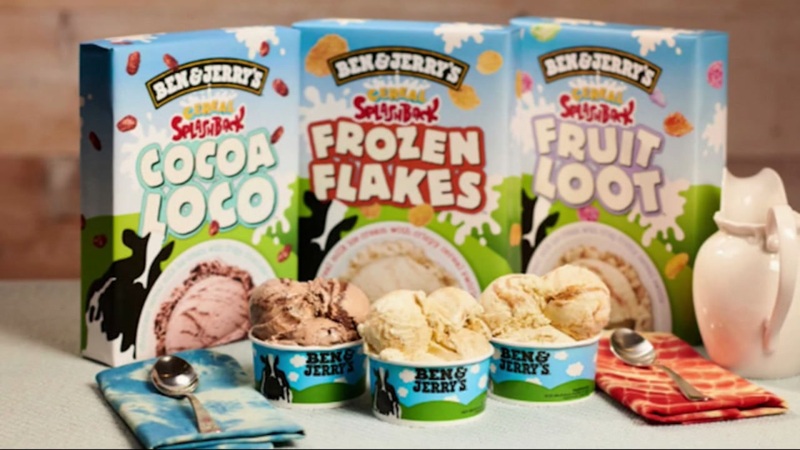 Ben & Jerry's says the flavors are designed to make people feel like a kid again. They'll be served exclusively at Ben & Jerry's scoop shops starting this month.